We are still a few months away from the launch of the awaited Galaxy Note 9, though there have been a lot of leaks of the smartphone which gives us an idea of the specifications and hardware inside the phone. A new report comes from a Russian journalist who was given a sneak peek into the phone and its specification ahead of the August 9 press event where the phone will see its debut. As spotted by BGR, Eldar Murtazin of Mobile Review has dished out the specifications of the phone, including the RAM and storage capacity of the phone to the upgraded camera. One of the biggest addition to the mobile phone is the increased battery life of the phone. According to Murtazin the phone will see its battery increase from the 3,300 mAh battery which was present in the Note 8 to a 4,000 mAh which will be present in this model. The phone company played it safe with the Note 8 model after the debacle of the Note 7 even though the company is confident of the increased battery capacity in their new phone while keeping the safety standards which it has laid out for itself. The dual-camera setup will return to the Note 9 as it was present in the Note 8, though the running gear behind the camera will be similar to the Galaxy S9+. That means that the phone will benefit from the variable aperture system, as well as sensors with memory built right in to enable super-slow motion video. Murtazin noted an improvement to optical image stabilization, which could greatly benefit both stills and recordings. 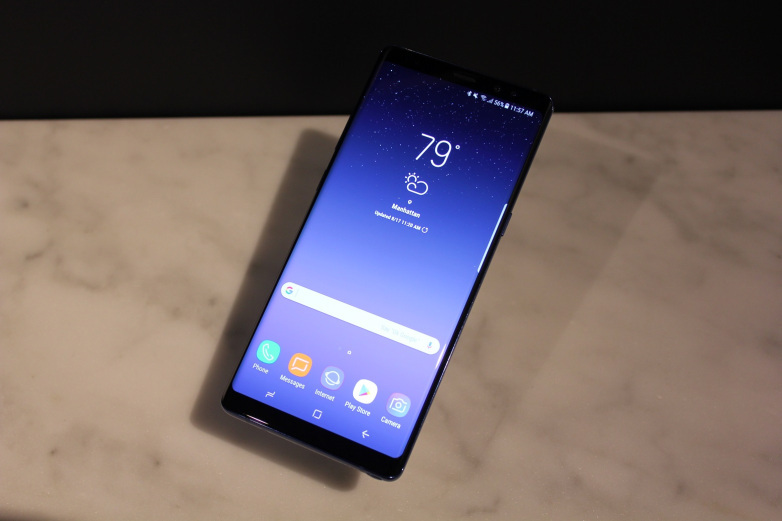 Samsung Super AMOLED display technology has become a standard for all high-end smartphones in today’s market, the Note 9 will see a slight improvement in brightness. In all likelihood, this is probably akin to the improvement to luminosity we observed between the screens in the Galaxy S8 and S9. The Galaxy Note 9 will come in three different configuration, the 6GB of RAM and 64GB of internal storage, and the 8GB of RAM and 256GB or either the 512GB of internal storage for the more expensive version. It would be first time that the smartphone brand has sold models with higher memory and more internal storage. That changes with the Note 9 versions.